Our product range includes a wide range of industrial chimneys. 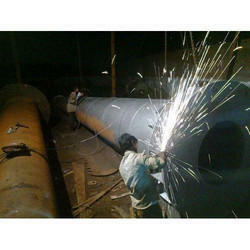 Aim Engineering is a noted manufacturer and trader of Industrial Chimneys. Used for venting out smoke, fuel gases or hot gases from stove, furnace, boilers or fireplaces, the proffered chimneys are demanded in generator exhaust, boiler exhaust and gas exhausting chemical plants. Industrial chimneys are capable of withstanding tough weather conditions and have structured support that imparts strength to pillars. Looking for Industrial Chimneys ?